Congratulations to the class of 2014 at the University of New Mexico School of Architecture + Planning! Our eldest son, Gavin Brown, received his undergraduate degree in architecture. He’s standing in the middle front row (wearing a suit jacket, sans cap and gown). Also, "Happy Anniversary" to our state’s flagship university, the University of New Mexico: 125 years strong! Thank you, everyone, for helping me celebrate my 57th birthday. It’s been a fabulous day! Governor Susana Martinez telephoned a few minutes ago to inform me that Eddy County has been selected as one of several counties that will host a specially designated veterans’ cemetery! More details will follow. A big thank you to everyone who wrote letters and testified in favor of this initiative. A special thanks goes out to Adon Rodriguez and the city of Carlsbad’s cemetery committee for all of their dedication and hard work. We esteem and salute our veterans! 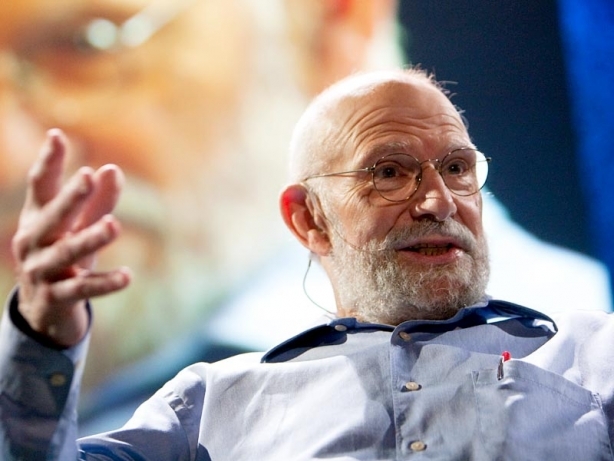 "Neurologist and author Oliver Sacks brings our attention to Charles Bonnet syndrome — when visually impaired people experience lucid hallucinations. He describes the experiences of his patients in heartwarming detail and walks us through the biology of this under-reported phenomenon." Adventures galore for our son Drew, who’s spending his spring semester in the Middle East. He’s the person in the middle, wearing a blue shirt. What fun! A full house for the 8th annual fundraising banquet! THANK YOU to everyone who has made the new Artesia Public Library possible! The grand opening is tomorrow, March 1st. I can’t wait to tour this magnificent facility.